Oil is one of the precious commodities in the world because of its use in industries and transport. It also plays an important role in issues like inflation especially in developing countries because oil is used in one way or another in production and distribution of other commodities. In case the oil prices rise sharply, you will see an increase in other commodity prices. Oil supply contracts are traded in commodity exchange markets like the intercontinental exchange and the New York mercantile exchange. Also the New York stock exchange is another market where traders can trade in oil contracts. Each oil contract involves 1000 barrels of oil. With this kind of quantities involved in a single contract, only those who are wealthy can participate in such trades. Your Personal Financial Mentor will guide you on how you can go about trading in oil contracts. 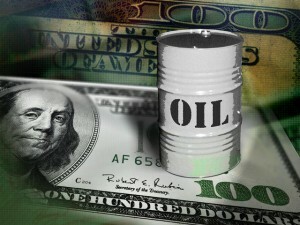 Political developments have an impact on oil prices especially if this developments impact the oil producing countries. In the recent past there was a sharp increase in oil prices due to unrest in the Middle East and Libya. With this social unrest, production of oil went down and demand outstripped supply leading to increases in prices. Before you trade in oil contracts have a clear understanding on how political developments will affect the oil market. Apart from political development, you also need to understand how the oil commodity market works. Most of the trades will involve futures which are highly speculative. Due to the speculative nature of futures, there is a high risk of losing money and at the same time there is a possibility of making high returns. Futures refer to a contract where a buyer and a seller agree on the price, quality and quantity beforehand. The futures are normally for 3 months or more. In case of changes in prices in the duration of the contract, both the buyer and the seller are bound by the terms of the contract thus they can’t change the price. Suppose the price of oil goes up than the agreed price of the contact, the seller will lose the opportunity to make extra profit while the buyer will be shielded from the high prices thus having a lower operation cost. You will need to engage the services of a broker in order to participate in the trades. The broker should be in a position to advice you on trends and opportunities to make money apart from placing orders on your behalf. You can also trade online provided you have the knowledge and skills to make the correct decisions.